VELVEETA SHORTAGE: Sure there is. They just can’t make the stuff fast enough. 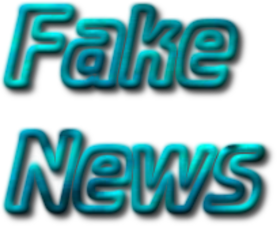 Satan’s Mouthpiece (the Corporate Media) blabbers on and on about “fake news“–which is not the fake news Americans should be concerned about. One example is the following, which is an example of the REAL fake news. Nationwide Velveeta Shortage hits just before the Super Bowl – Oh surely not! A Kraft Foods spokesman gave “no reasons” for the shortage. Of course not–because there is no shortage. This “shortage” and its promotion in the Corporate Media, was conveniently timed for a few weeks before the Super Bowl: a prime time for such snack food. Seriously, Kraft manufacture Velveeta. There is no reason they can’t make more. It doesn’t contain any hard-to-get ingredients. To help out, even the late night comics chipped in with several Velveeta brand jokes. Americans are being treated to more paid advertisements masquerading as news stories. But that’s not surprising. After all, isn’t America the Home of Product Placement? Kraft is just taking advantage of the system to promote Velveeta this way. It is similar to the fake TIDE stories that run on local news stations and in the press every 4-6 months. Swinton made his declaration in 1880. Do readers think it has gotten better or worse over the last 134 years? HAS the reader been taken in by the false reality which is presented as the real world?